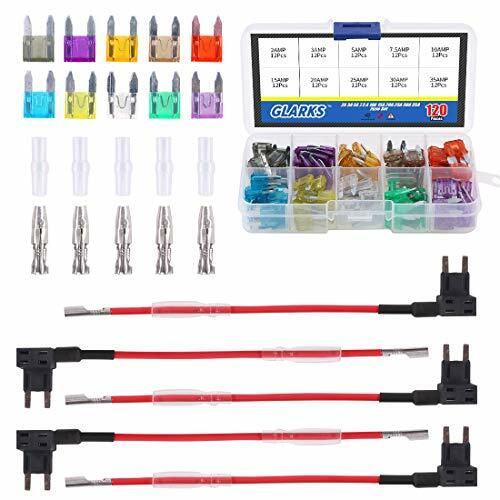 Glarks 130pcs 12V 5 Pack Car Add-A-Circuit Fuse TAP Adapter Mini ATM APM Blade Fuse Holder with 120Pcs 2A 3A 5A 7.5A 10A 15A 20A 25A 30A 35A Fuse Set Package Include: Regular Blade Fuse: 2 Amp x 12pcs 3 Amp x 12pcs 5 Amp x 12pcs 7.5 Amp x 12pcs 10 Amp x 12pcs 15 Amp x 12pcs 20 Amp x 12pcs 25 Amp x 12pcs 30 Amp x 12pcs 35 Amp x 12pcs Add-a-circuit fuse holder x 5pcs Terminals x 5pcs Total: 130Pcs Feature: All the products with good bending performance, melting resistance and excellent electrical conductivity. 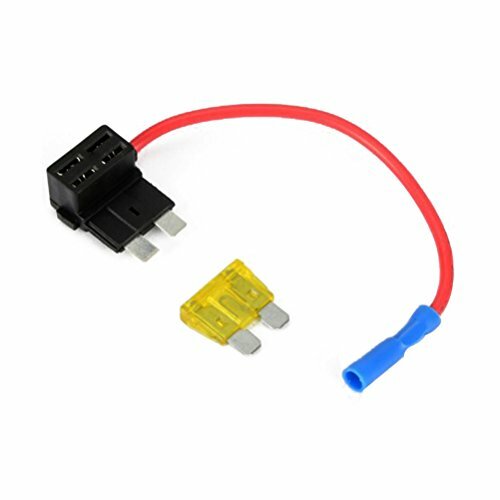 Dual-slot fuse holder can provides one fuse holder to protect existing circuit and a second fuse holder to protect new circuit. 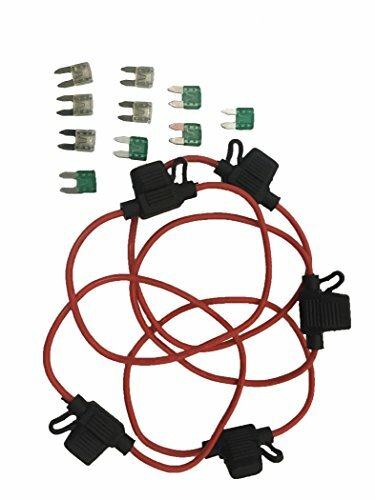 Convenient and easy to add an extra power or connection to the fuse box without cutting the wire. 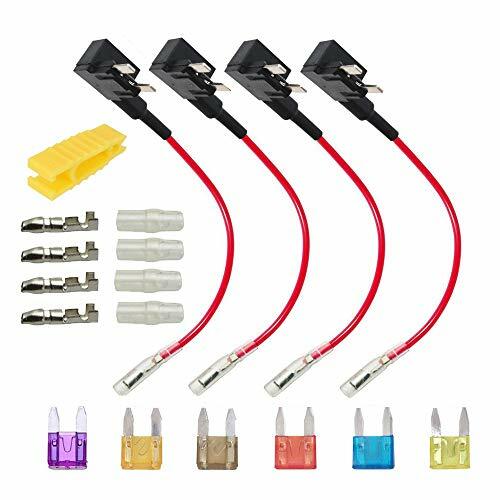 Wide application of adding LED strips, radar detectors, dash cams, or any other electronic that requires direct wiring into the fuse box without cutting or splicing. Installing Method: -- Disconnect Power Source. 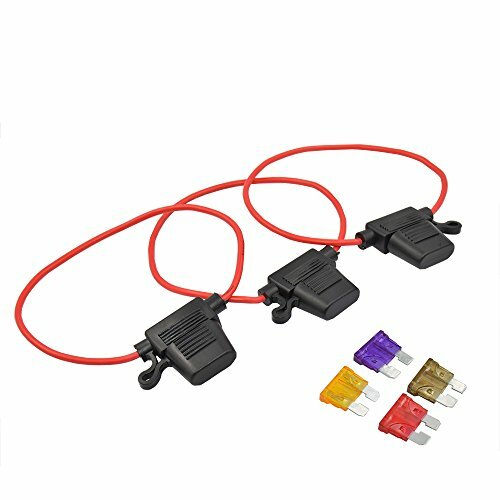 -- Select and remove a fuse in your vehicles fuse box which with constant or switchable power capabilities that matches the power requirements of the accessory you are adding. -- Insert new accessory fuse into added slot. -- Install Add-a-Circuit with the newly added fuse installed , back into the fuse block. Reconnect power source, Turn on Ignition to test new accessory for proper operation. 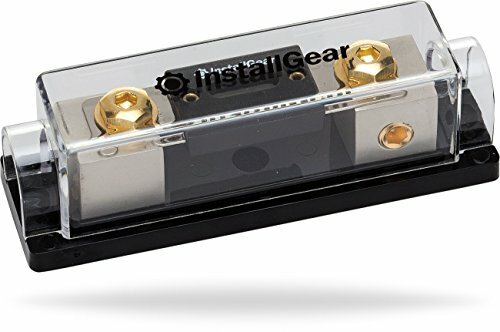 -- Please attention that if you find that the fuse is difficult to insert or remove, please use tool to gently tap in and pull out. 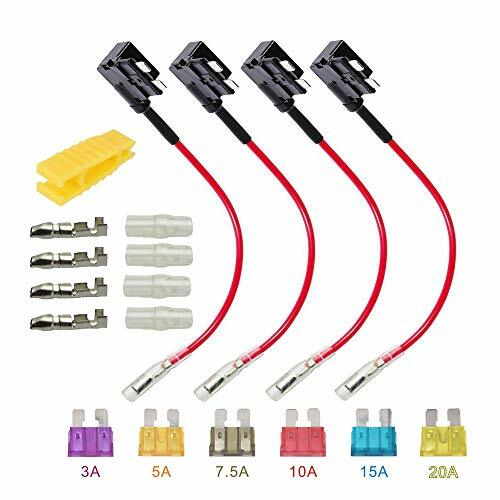 What You Get: In this set, we offer 5pcs Add-A-Circuit fuse holder with 5 pair terminals and 120pcs 2A 3A 5A 7.5 A 10A 15A 20A 25A 30A 35A fuse total 130pcs for your use, they are well packed. High Quality: We offer quality assurance, all of them are made from high quality materials, good bending performance, melting resistance and excellent electrical conductivity, durable and practical for your DIY application. 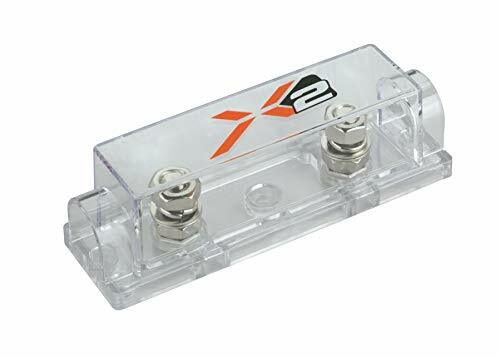 Dual-Slot Fuse Holder: These dual-slot fuse holder can provides one fuse holder to protect existing circuit and a second fuse holder to protect new circuit. 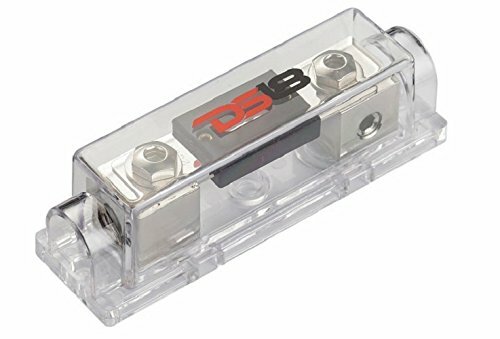 They are very convenient and easy to add an extra power or connection to the fuse box without cutting the wire. 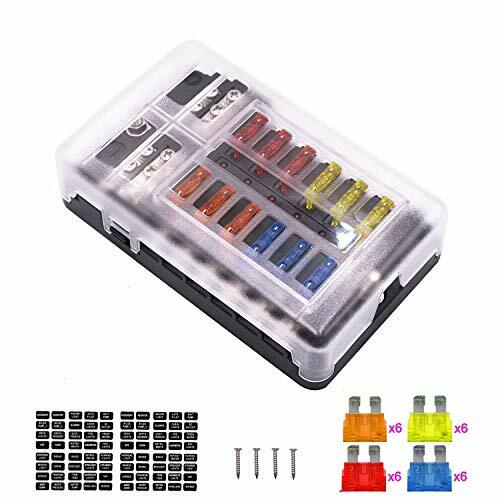 Blade Fuse: Sets include 120pcs blade fuse packed in a plastic box, they are transparent for quick detection of blown fuses, Color Colored coded with documentation for confident and easy installation, ideal replacement for your old or broken one. 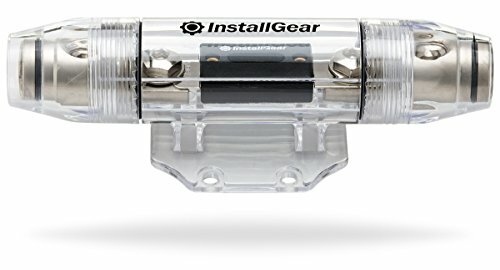 Versatile: You can use this dual-slot fuse holder when adding LED strips, radar detectors, dash cams, or any other electronic that requires direct wiring into the fuse box without cutting or splicing. 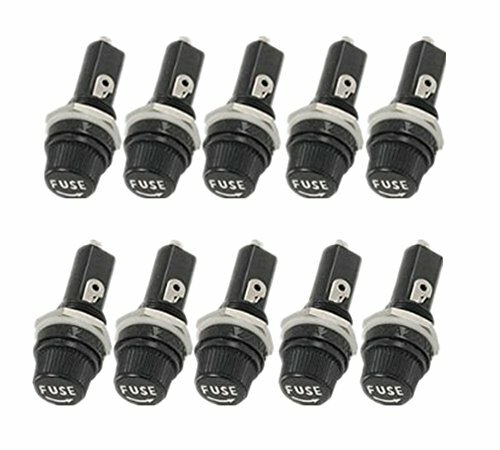 Please attention that if you find that the fuse is difficult to insert or remove, please use tool to help your work. 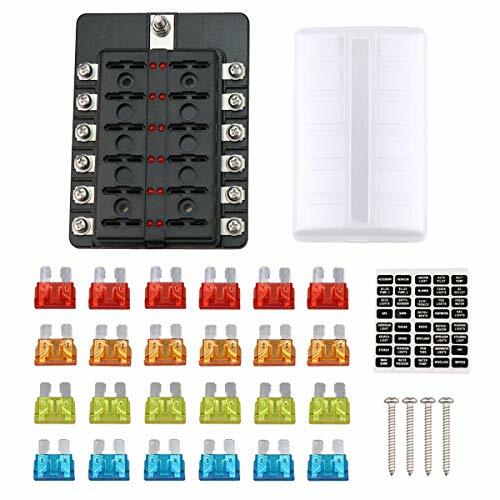 High quality 12 way fuse box. 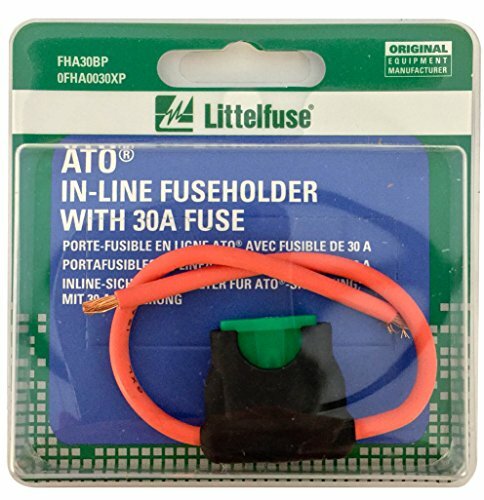 This 12 way ATC/ATO blade fuse holder box is compact, rugged in construction. 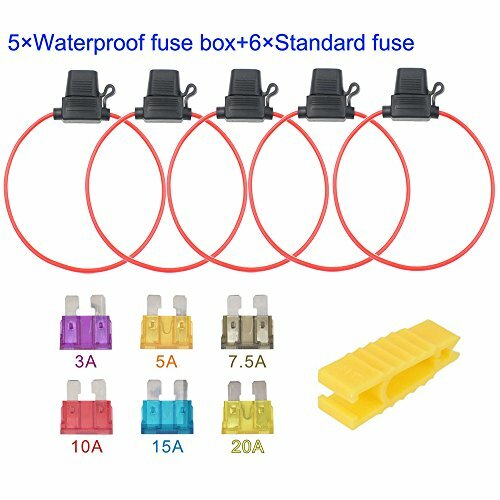 The fuse will cut off the current auto when it rise in the current to a certain temperature, so as to protect the safe operation of the circuit. 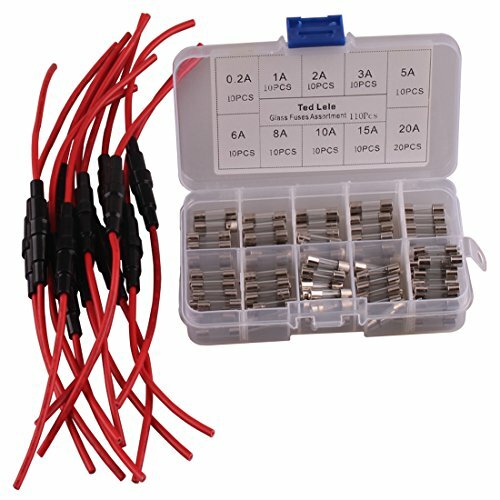 The product with red LED warning light, corresponding to each fuse piece connected to the electrical appliances, when the fuse is broken, the red light will be bright. Suitable for car, marine, motor-home, vehice, automotive & motorsport subway, bus, ship, RV and so on. Fuse box size approx:11.5X8.5X3.5cm/ 4.5x 3.35x 1.38 inch. 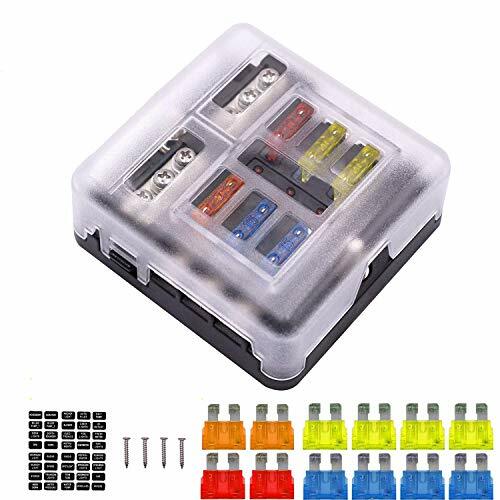 High quality 12 way fuse boxes, convenient for examination and repair, easy to troubleshoot in outdoor; widely used in, bus, ship etc.